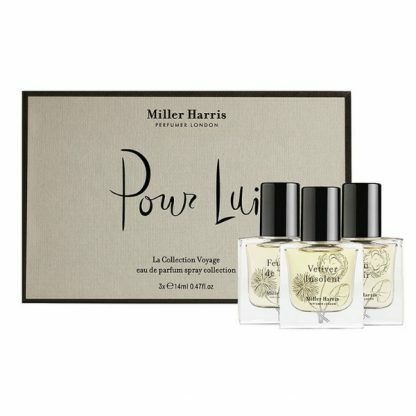 Miller Harris share with us their La Collection Voyage Pour Lui Discovery Box. Pour Lui is a versatile selection of their best selling male scents. 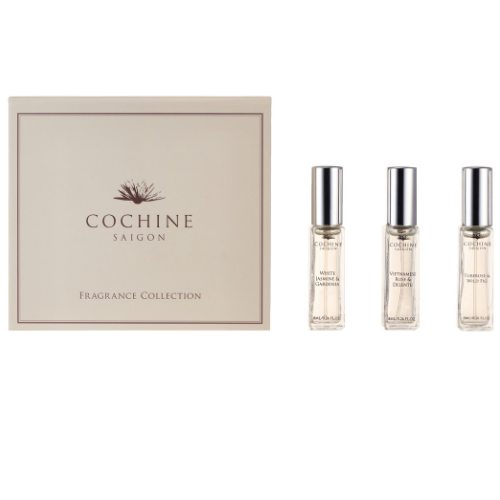 Inspired by dreamy journeys conjured with every spritz, each of the three fragrances come in luxurious travel sizes, and are presented in precious miniature versions of their full size bottles. Just click on the pictures below to read in more depth about each fragrance. 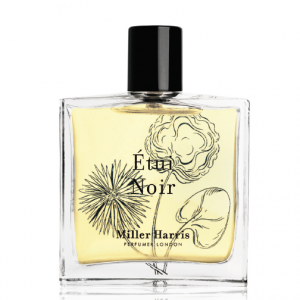 Etui Noir is like a well-worn leather jacket shared by lovers with comforting flashbacks of each other. As deep as the night, with purple skies and flashing city lights, capturing the sensuality of leather. 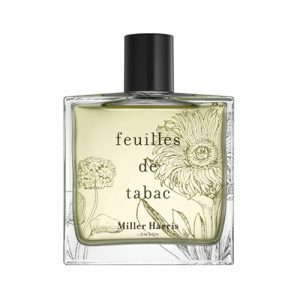 Feuilles de Tabac is a confident fragrance, built around the dryness of tobacco leaves. Inspired by the smoky atmosphere of brasseries in Saint Germain and the easy confidence of French gentlemen, who scent the lining of their jackets to capture your attention as they walk past. 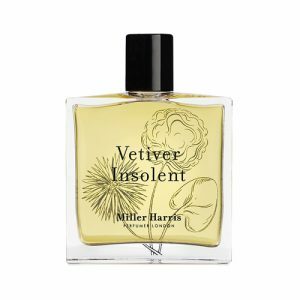 Vetiver Insolent is an exploration of vetiver, the root of a grass grown in Haiti. It combines facets of smoke, roots, spice and freshness. Ideal for the mischievous and courageous, it is beguiling and charismatic. 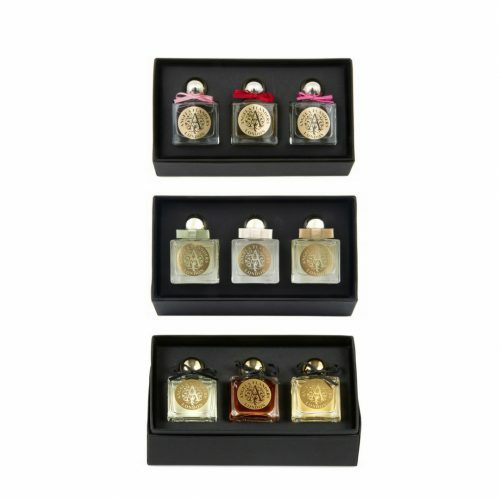 Pour Lui sets each include 3 x 14ml eau de parfum, in these beautiful bottles (above).